If you listen to photography podcasts or are interested in Japanese wildlife photography you’ve probably already come across Martin Bailey. 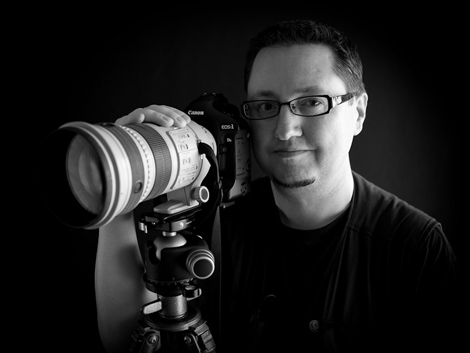 Check out his website to learn more about him, but in summary he’s a talented guy from the UK who works as a photographer in Tokyo and shares his knowledge with others through his podcast, an e-book, photography tours, and workshops. A couple of the areas Martin is particularly knowledgable in are color management and printing. These are key parts of a professional photographer’s workflow, and without a firm understanding of them, you’re just hoping for the best rather than taking control. After the successful Photography 101, Off Camera Flash, Retro Portraits, and Light Painting workshops I contacted Martin to ask if he’d like to come to Okinawa to teach a weekend workshop on color management and printing. We discussed the idea and as Martin is already planning on teaching Pixels 2 Pigment workshops in the UK, America and Australia later in the year, he said if there was enough interest he’d come down to Okinawa this summer. Images look great on your monitor, you send them to an online printer but the photographs you (or your clients) receive don’t look quite right. A client wants you to photograph a dress for a catalog. It’s a gorgeous red dress, but when you (or your client) looks at the dress on a monitor it’s a different shade of red. When the catalog is printed, the dress has changed color again. A photo editor at a magazine receives a submission of images, immediately they can see that the color balance is off. Rather than fixing the images, they simply move on to the next submission. You buy a fantastic new printer, but each time you print you end up having to go back into the file, make adjustments and then print again. You end up wasting ink, paper, and time. I’m hoping that we can hold the workshop in early July. The price of the two day course will be US$250. At this stage I’m not looking for deposits, just gauging the level of interest on Okinawa. My belief is that there are enough professional photographers on the island who can see the benefits this course will offer, and will jump at this opportunity. If you’re interested please leave a comment, send me an email or a Facebook message. Chris as we have already discussed sign me up please. Put me down, though that being my last month on island, dates could be tough. I too would like to attend. Thanks! The provisional date for the workshop is currently August 4th and 5th 2012. When Martin’s flights are booked, the dates will be confirmed and then I’ll start taking payments for the class.